All my friends are complaining about memory loss these days. All this talk about memory issues makes me feel a little less self-conscious about mine. Yes, I’m more and more prone to sounding like my mother, who gropes a lot for words. “She told me I had to—oh, you know—there’s something I have to fill out—you know—to get the money . . . She’s going to send it to me—what’s the word?” And how long before I also start repeating stories the way my mother does, who told me not once or twice but ten times that she suspected her missing checkbook fell into the trash? We all know memory loss is part of aging, and that glimmerings of compromise start appearing in middle age. A new study by sleep researchers in California suggests that age-related memory loss is caused by changes in sleep, and that remedies being developed to improve sleep may help us remember more. Short-term memory storage occurs in a brain region called the hippocampus. But for memories to become consolidated for long-term storage, they have to be transported to the front part of the brain, or the prefrontal cortex—a process that occurs during sleep. As people age, two things occur to interfere with this process. We get less deep sleep—much less, in fact. While young adults spend about a quarter of their sleep time in deep sleep, the amount of deep sleep older adults get may be as little as 10 percent. So in older adults, some short-term memories in the hippocampus never get to migrate to the long-term storage area at the front of the brain. “When we are young, we have deep sleep that helps the brain store and retain new facts and information,” said UC Berkeley sleep researcher Matthew Walker, commenting on the study in Medical News Today. 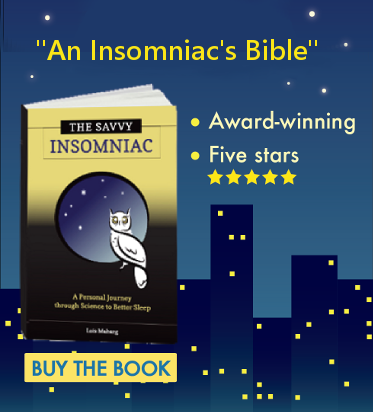 “But as we get older, the quality of our sleep deteriorates and prevents those memories from being saved by the brain at night.” The result is that we have trouble remembering facts that we learned and events that occurred just a day or two before. But hope is at hand, this same group of researchers says. Despite aged-related deterioration of the prefrontal cortex, new therapies under development now may help prevent memory loss. Weak electrical stimulation of the brain and new medications may help promote deep sleep and improve the memory of older adults. I don’t know how you feel, but I want access to these slow-wave sleep-promoting therapies RIGHT NOW. 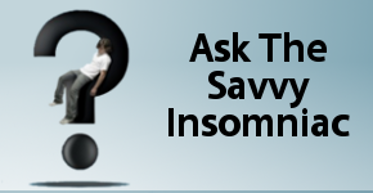 Have you noticed that how soundly you sleep seems to affect your memory? The issue is near and dear to my heart, and I’ll share a more personal perspective in my blog on Thursday. Great blog today, Lois! I know it’s not scientific, but when I’m not ready for sleep but exhausted and WANTING to, warm milk with honey (not too much; I don’t want to get the bladder excited) seems to help me drift off and stay asleep all night. Thanks, Kathie, I’m glad you like the post! And thanks for sharing your success with the milk and honey. Actually, drinking milk at night IS sort of scientific, in that milk contains tryptophan, which helps with sleep. But the science of the thing doesn’t really matter. If it works, it works!